This week has been an eventful one for Jackson. Five specialists, three campuses, and one very special guest have made for quite a few busy days! Nanny arrived from Maryland this week to help out with all things Jackson. Since we are currently without home health care, this is a huge help for things that may seem simple and ‘everyday’ to most new moms. For example, driving Jackson anywhere requires two people. Since he has a trach, someone has to be sitting in the backseat with him at all times to help with suctioning, emergencies, and anything else he may need. Nanny was a quick study and did a great job on suctioning and trach care. 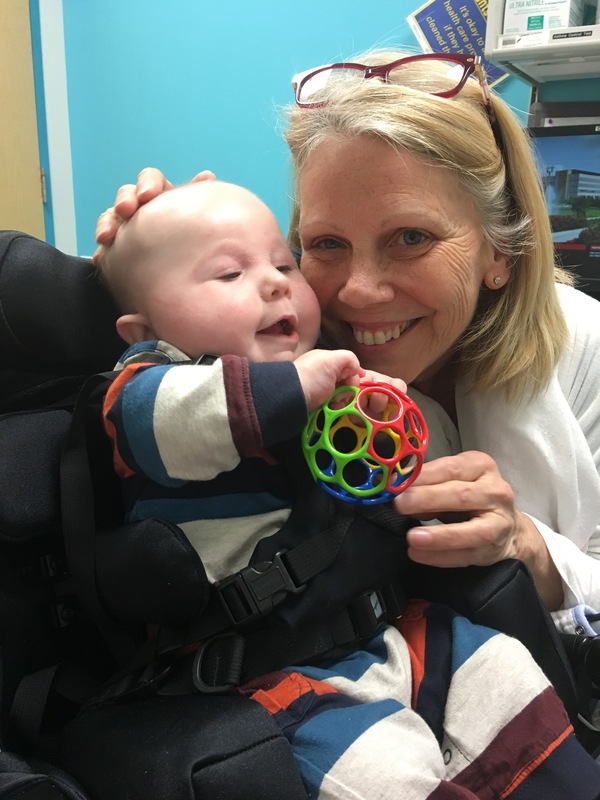 Over the course of three days, Jackson had appointments with three specialists on two different TCH campuses. Neurosurgery, development, complex care, physical medicine, and, finally, GI made for a very busy three days. We received mostly good news and no real ‘bad’ news from each specialist and will be back in a few weeks to do it all again. Our biggest change? We’re heading up to 22mL an hour on feeds, a while one mL advancement from where we are. Big moves, kid. Big moves. So, where does the ‘third campus’ come in if those appointments took place over two? 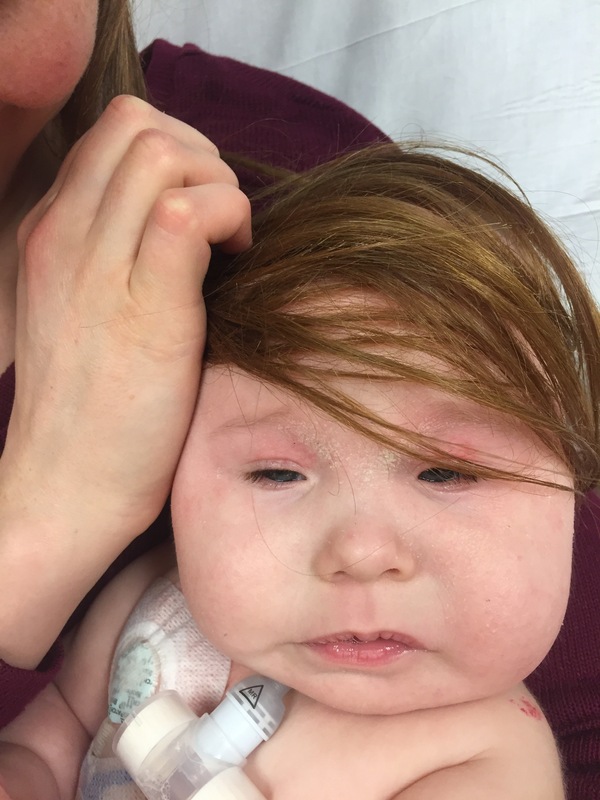 On Friday, Jackson was having increased vomiting and more diapers than usual. It was seeming to get progressively worse and was coupled with some strange heart rhythm over the past few days. 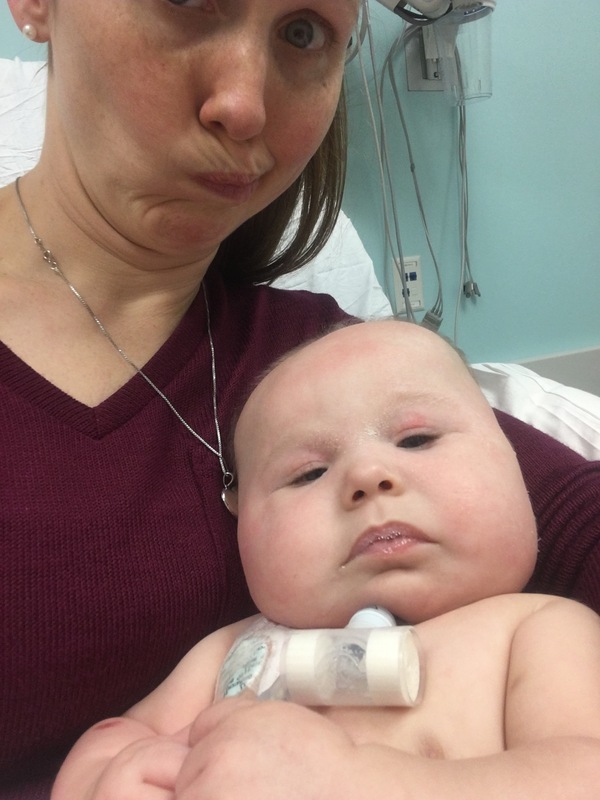 At the suggestion of his cardiology office (in her words, ‘it’s Friday and I’d rather you not be stranded’), we took Jackson to the ER to be evaluated. We ended up spending about 24 hours at the new Texas Children’s Hospital campus in The Woodlands for observation and fluids. What caused the issue? We have no idea. Ideas include a stomach bug or the vaccines he recieved making him feel not too hot, but with him it doesn’t truly matter. Jackson has a limited amount of fluid he can take via his g-tube and is limited to his intake due to tolerance as opposed to true ‘fluid restriction’. 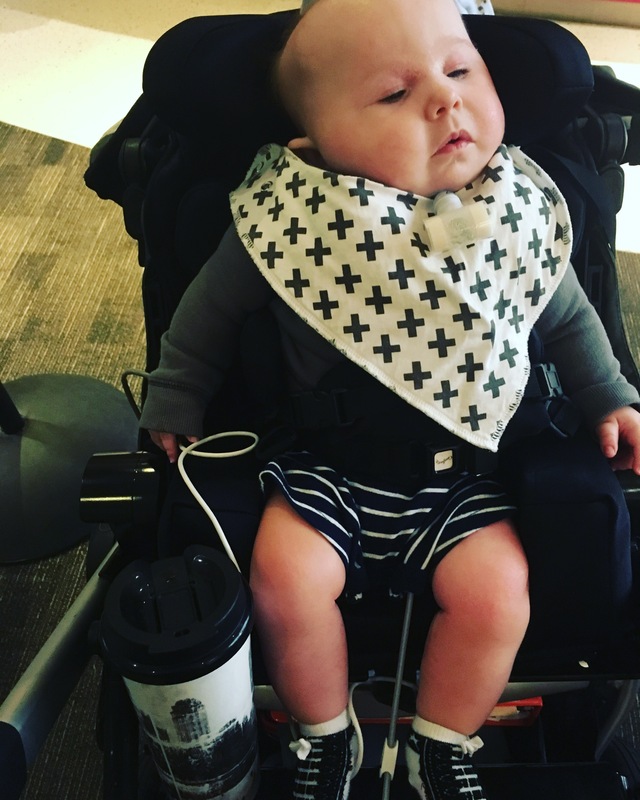 Many babies can simple ‘replace’ what they lose with something like pedialyte, even through a g-button, but Jackson can only take in 21 mL an hour over the day with the remainder of his fluids and calories coming at night through TPN. As the doctor told us, he has a limited reserve when it comes to getting sick, so our admission was more of a ‘just incase’ than a true need. On the plus side, we love the new campus and were even able to see our favorite RT from main campus for a visit! Here’s to staying out of the hospital for longer than a week!